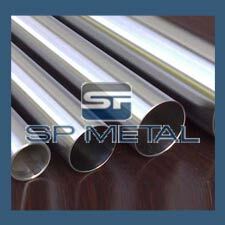 Stainless Steel 304h Pipe, is a relatively low carbon version of 304L. This austentic Steel does not require post – weld annealing and so it is broadly utilized in heavy gauge components. SS 304L Pipe, is a nitrogen-strengthen version of SS 304L. 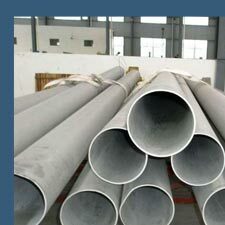 We are Manufacturers & Suppliers of Thin wall stainless steel 304h pipe in India. Looking for trusted dealer & distributor for Thin wall stainless steel 304h pipe in India? Information for those interested in buying Thin wall stainless steel 304h pipe. India’s Largest stockholder of SS 304h Thin wall Pipe offer best price in India. We are Manufacturers & Suppliers of ASTM A312 TP304h Stainless Steel Polished Pipe in India. Looking for trusted dealer & distributor for ASTM A312 TP304h Stainless Steel Polished Pipe in India? Information for those interested in buying 304h Stainless Steel Polished Pipe. India’s Largest stockholder of SS 304h Polished Pipe offer best price in India. We are Manufacturers & Suppliers of ASTM A312 TP304h Stainless Steel Decorative Pipe in India. Looking for trusted dealer & distributor for 304h Stainless Steel Decorative Pipe in India? Information for those interested in buying Stainless Steel 304h Decorative Pipe. India’s Largest stockholder of 304h SS Decorative Pipe offer best price in India. We are a well known & largest stock holder of 304h Stainless Steel Pipe in India. SP Metal's people are trained extensively in the products we represent. This enables us to provide you assistance in selecting the right product for your application and solving your fluid handling problems in the most cost effective manner. SP Metal has been built on service. A commitment to inventory, product expertise, delivery on our trucks and efficient handling of our customers needs has made SP Metal the leader in the industry. Range of ASTM A312 TP304h Stainless Steel Pipe according to ANSI/ASME 36.19M - Stainless Steel Pipe. 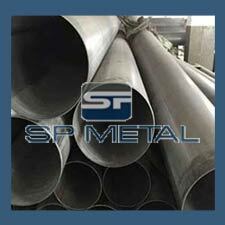 ASTM A312 TP304h Stainless Steel Pipe as per #4 Polish, #6 Polish, #7 Polish or a #8 mirror finish. Stainless steel polished pipes can also be cut to size. 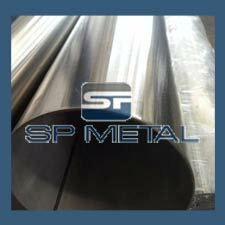 Bevel ASTM A312 TP304h Stainless Steel Pipe to prepare for welding or other processes. In some cases, UT testing of the 304h stainless steel pipe may be required. We can assist you with this requirement. 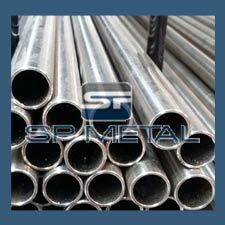 Above table represents that we keep in stock 304h Stainless Steel Pipe, SS 304h in form of Pipe. Other sizes can be made available on request.